Nissin Top Ramen - chicken. 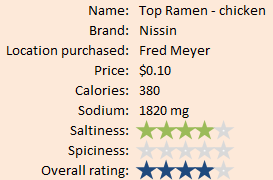 For my second review during Top Ramen Week, I'd like to review one of the most popular flavors. 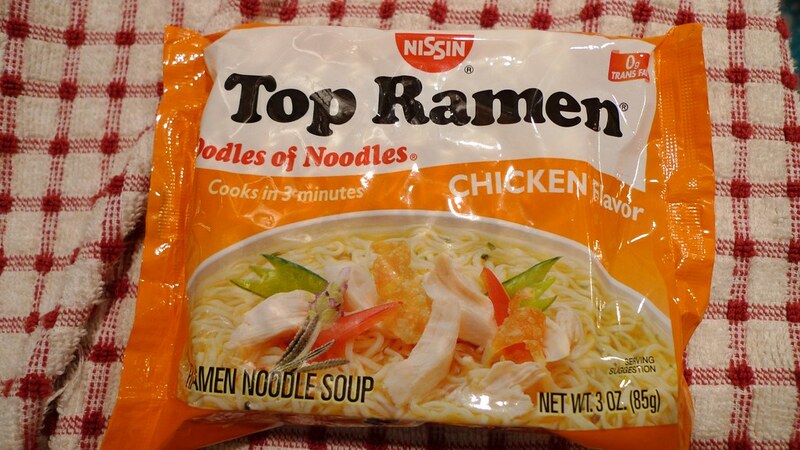 Chicken Top Ramen is something that I think the majority of us have eaten. I wish I could find reliable statistics that said what the most popular flavors were, but most people I know eat this a lot. Does that mean it'll earn my coveted perfect score? Read on to find out. The noodles and seasoning packet. Chicken is my favorite flavor of Top Ramen. When we buy a bunch of packets by the case, chicken makes up the majority. It is also my wife's favorite flavor. Juliana loves it, too. The chicken Top Ramen cooking in my pot. 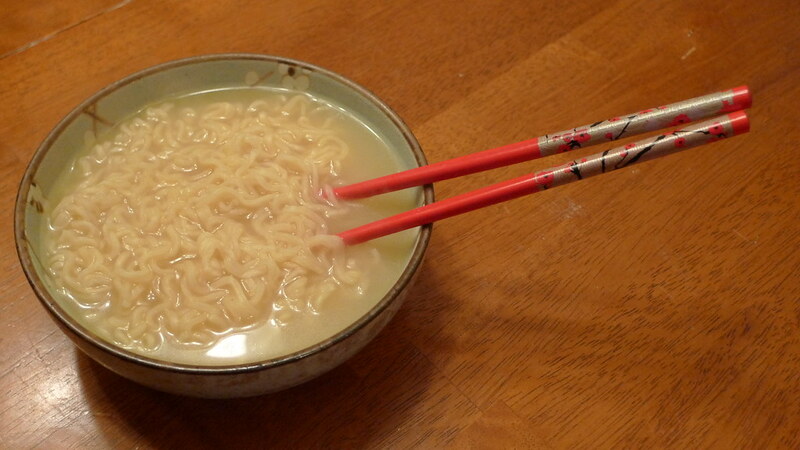 I could eat chicken Top Ramen without adding anything, but I prefer it with some additional substance. Adding chicken or turkey meat to it is the best! 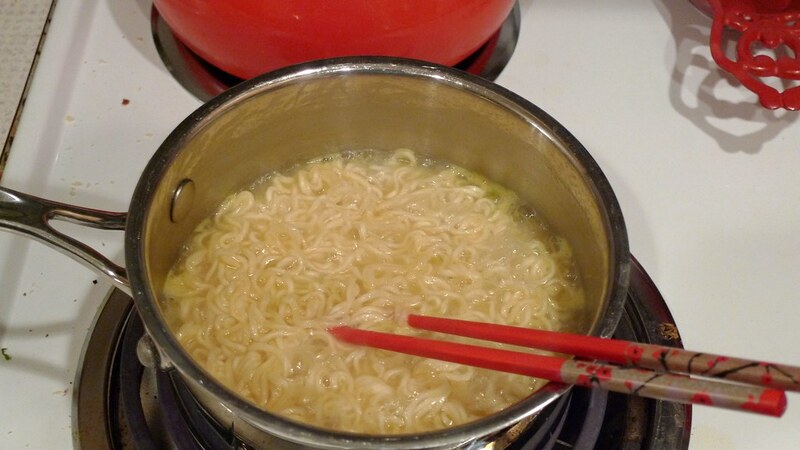 Being a fan of spicy stuff, I add cayenne to my chicken Top Ramen almost all the time. And scrambling an egg into the soup is something I like to do often. Would love to hear how you eat your Top Ramen. 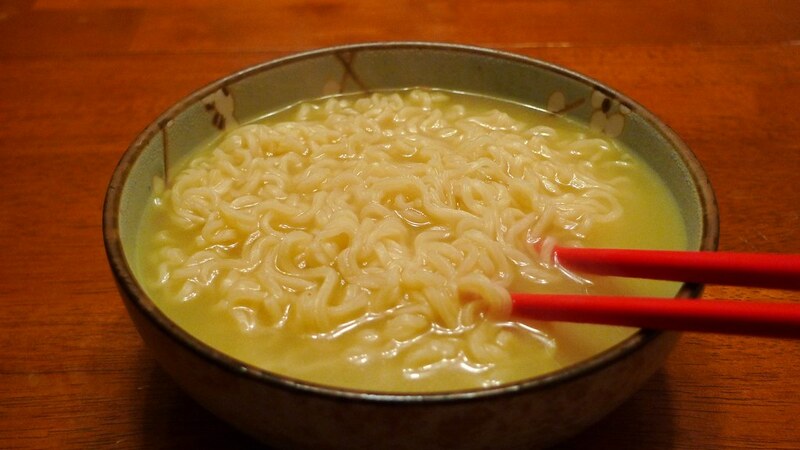 My chicken flavored Top Ramen all cooked and ready to eat! What is so awesome about Top Ramen is the natural flavors they use. Yes, it's not completely all-natural, but it's better than completely artificial flavors; especially when it comes to the chicken. In the ingredients, you will find that chicken powder and chicken fat are listed. You know you want some! You probably have a bag or two in your pantry right now. 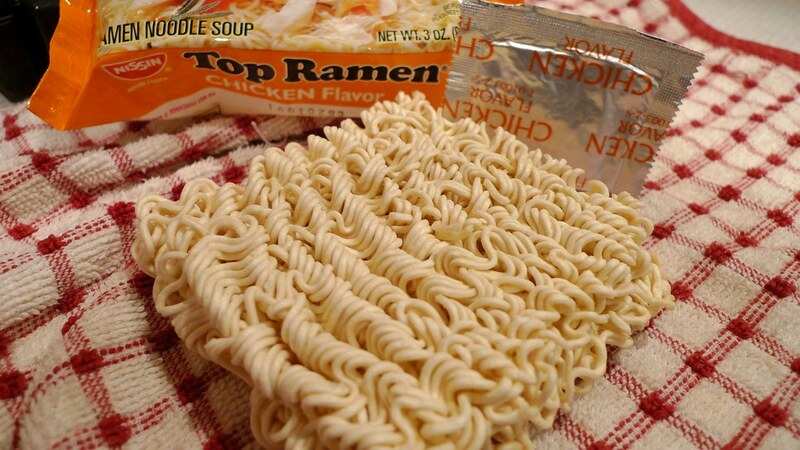 The one negative thing I would say about Top Ramen - chicken is the amount of salt, but you can expect this from a brick noodle. It has 210 mg more sodium than the oriental flavor has. If you want, you can add more water, or use less seasoning when you cook this. I'm quite alright with a little too much saltiness in this one. The strong chicken flavor makes it completely worth it.